Start-up life has been exciting and, we admit it, a little exhausting. 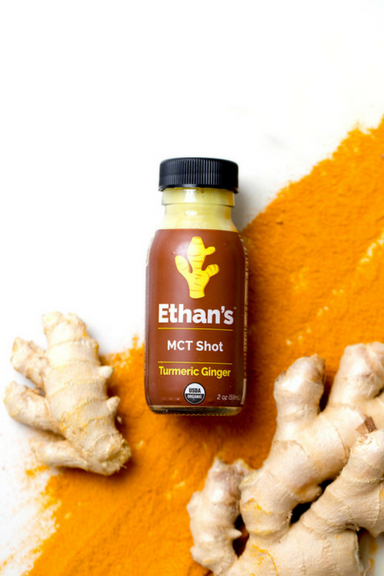 The Ethan’s team discovered medium chain triglycerides, aka MCTs, as a solution and we each began experimenting with our own added ingredients. Each of us felt an immediate shift in our energy levels. This discovery inspired the team to want others – who are working hard and hustling like them – to benefit from this awesome ingredient. 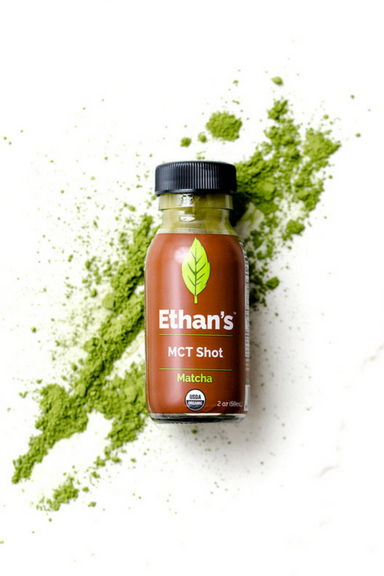 Similar to what we did with ACV, we combined MCTs with other beneficial ingredients to create a product that gives you the nutritional boost you need to help get you through your long days. 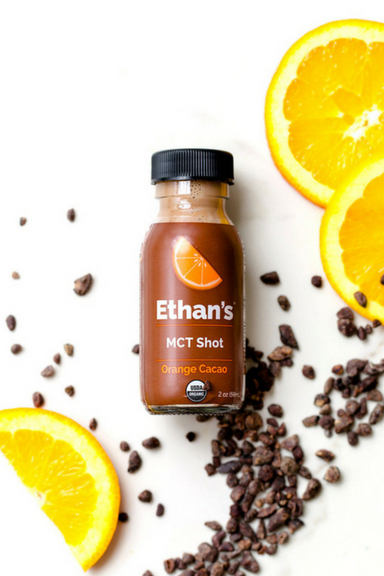 Each of our shots contains 8 grams of organic coconut MCTs. MCTs provide the body with fast acting, long lasting and sustained energy. MCT stands for medium chain triglycerides; these contain fatty acids that are more easily absorbed by the body than longer chain triglycerides, which must first pass through your digestive system in order to unlock their nutritional and energy benefits. MCTs are absorbed directly through the liver, providing the body with a helpful, long lasting boost. 100% of our MCTs are derived from organic coconut oil, which is much better than the alternative, palm oil, for both health and environmental reasons. Palm oil production is largely associated with deforestation, destruction of biodiversity and ecosystems, and more; conversely, organic coconut oil production is far more environmentally-friendly. From a health perspective, palm fruit requires much more processing to extract the oil (high heat), whereas coconut does not. Each of our shots contains additional beneficial ingredients, both for your health and taste buds. Yum. A dynamic and functional blend. Ingredients include coconut MCT oil, ceremonial-grade Matcha, lime juice and some honey to brighten up the mixture. Yummm. Great for a caffeine boost and increased focus. The original combo, now in a shot. 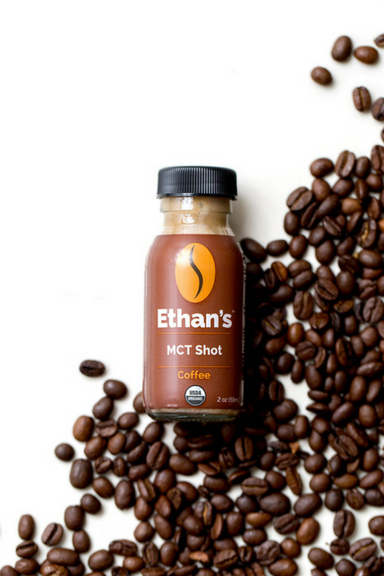 Ingredients include the dynamic duo of coconut MCT oil and cold brew coffee. This decadent mix gives a new delicious look to function. Ingredients include coconut MCT oil, cacao powder, maca powder, orange extract and vanilla extract for richness and taste. Cacao is great for antioxidant and heart support and maca has been used as a food and health aid for centuries. We can’t resist our two favorite powerhouse spices! black pepper extract and honey. Great for digestive and antioxidant support. We do our research so you don’t have to..